Aicia Dearn is a great business lawyer who has offices in Riverside, CA, San Diego, CA and St. Louis, MO. As a smart lawyer, she taught herself SEO and tried it her own with some success. She was able to get a 4.63% visibility on Google for her 642 keywords. 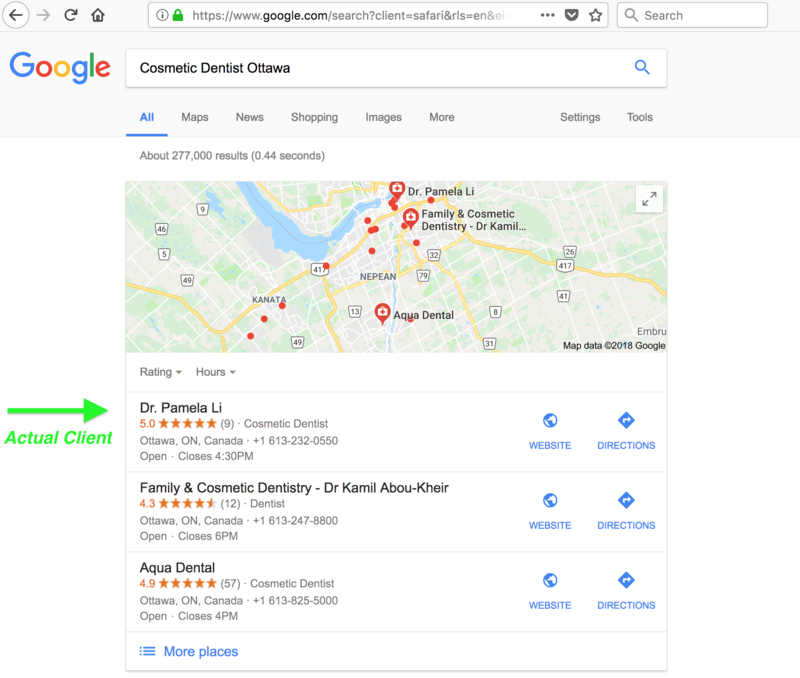 She had developed a ton of content related to her practice, which with the SEO she had done had helped her get some targeted traffic to her site. But she realized her abilities in SEO were limited and needed a more professional help. When we contacted her about our pay-per-performance (PPP) SEO she liked the idea and decided to sign up. 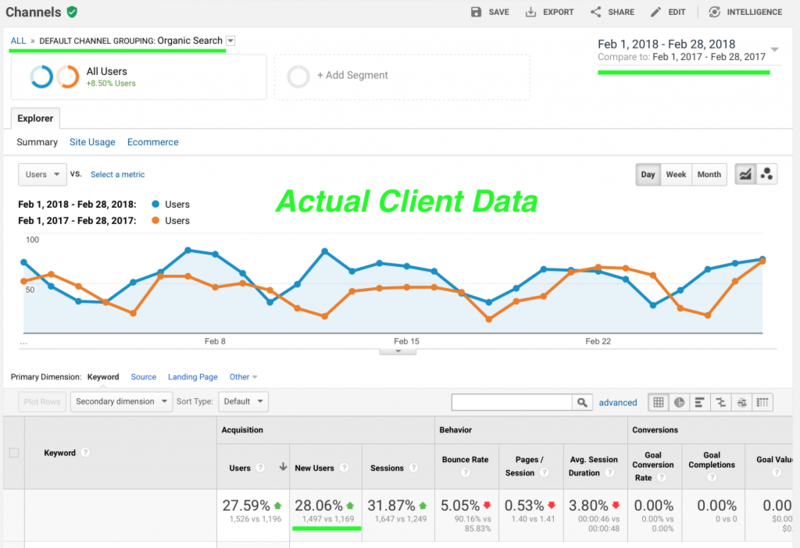 Within about three months, we were able to improve her site’s visibility by 376% (from 4.63% to 22.04% on February 28th). She now has 119 of her keywords on the first page compared to only 23 when she started our program, a 417% improvement. And she has 39 of her keywords ranking #1 compared to only 4 when she started. A whooping 875% improvement. She’s now coming up #1 on Google for very important keywords such as: partnership disputes st. louis. 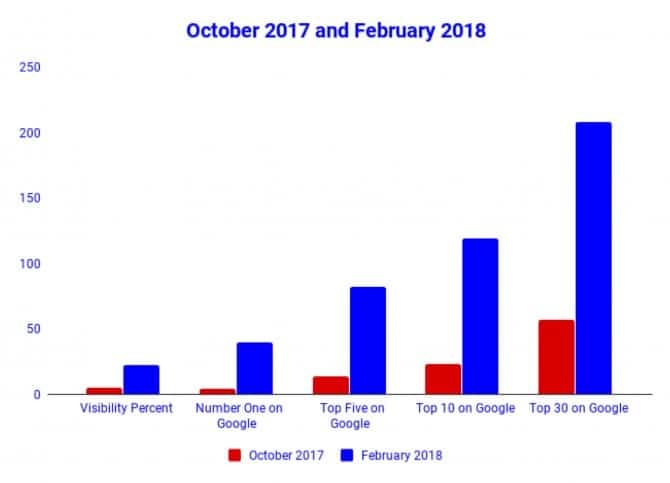 As a result of our SEO work, Aicia’s site (www.bellatrixlaw.com) received 1,497 unique visitors from organic search in February 2017 – up by 28.06% from the same time-frame last year. 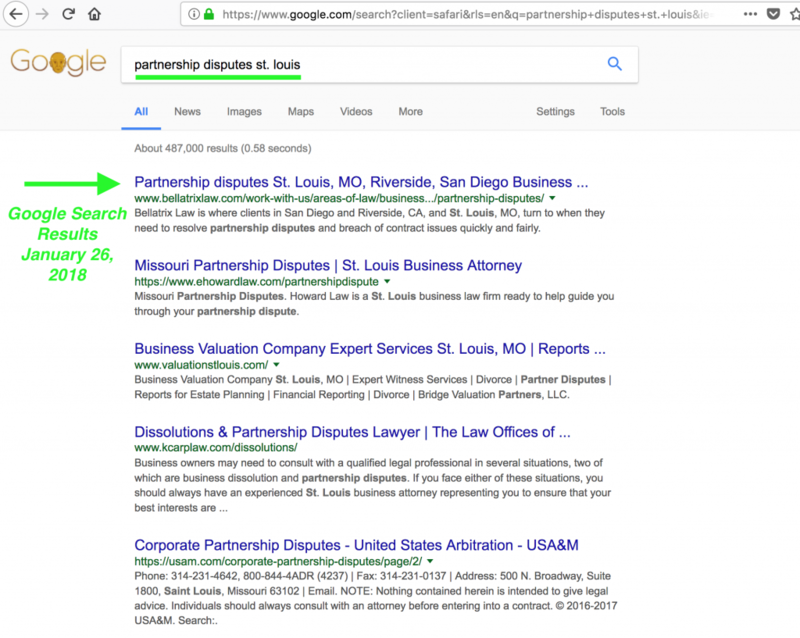 If you want to see similar results for your business, fill out the “Get Started” form on our site or call us at 1-310-299-2799 and we will analyze your site/market and we will let you know if your site qualifies for our pay-per-performance Google SEO program. I highly recommend Ali and his team at Millionarium. They have been easy to work with, professional, and immediately improved my website. I am excited to see what we accomplish in the upcoming months. It’s a pleasure to work with you Alicia. Your project is very exciting for all of us. I look forward to see results improve even further.